Miguel Almiron, top, celebrates with Ayoze Perez. Rafa Benitez says it will be "easier" to discuss his future at Newcastle United after the club's win over Leicester City. A goal from Ayoze Perez gave Benitez's side a 1-0 win at the King Power Stadium last night. And the result moved the club up to 13th in the Premier League table ahead of the weekend's fixtures. Newcastle are also 10 points above the relegation zone, though 18th-placed Cardiff City have two games in hand on them. Benitez, out of contract in the summer, last month re-started talks with the club over his future. 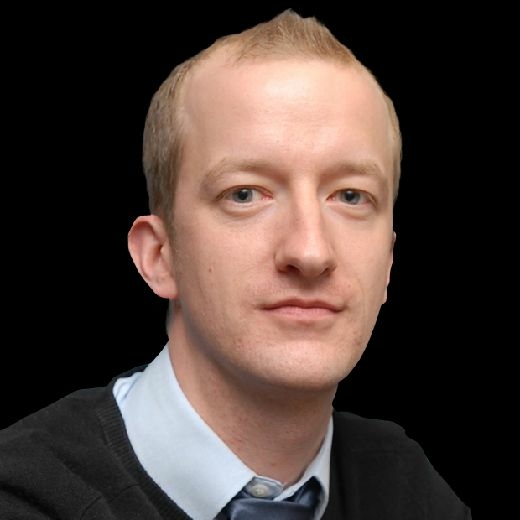 United's manager – who is looking for owner Mike Ashley to commit to investment in the club's squad and infrastructure – put off discussions while the club's top-flight status was in jeopardy. 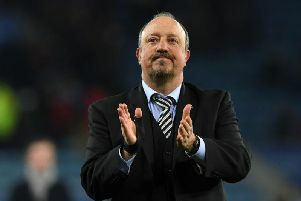 Asked if it was easier to sit down and talk with the club now, Benitez said: "I don't want to talk too much, but we have been talking about the future behind closed doors, or behind the scenes, however, you say it. "But we didn't want to talk outside, because I wanted to keep the players and everyone else focused on the games. "Now that we are closer, it will be easier, but still it's the same situation. We have to be sure we do the right things, that's it." Perez – who also scored in last season's win at the King Power Stadium – headed a Matt Ritchie cross past Kasper Schmeichel in the first half. Asked if the club was now safe, Benitez said: "Not yet. I think that we're closer, but we have to wait and see what happens in the next games, but at least we are very, very close now. "We have to be careful. We thought 38 points would be the mark that you could be safe, but Cardiff won some games, so we will see. Obviously, we're closer, and we're confident that it could perhaps be enough." Perez's strike took his goal tally for the season to eight in all competitions. Benitez said: "I will say that he is doing well for us, because he's scoring goals, but also his contribution for us in the way that he plays is quite good, quite positive. "I think we have to be pleased – not just because he scored, we won the game and got three points – it's just because it was a great goal, too." Salomon Rondon struck the woodwork with a 25-yard free-kick. "I think we had more chances on the counter-attack – it was just the final pass," said Benitez. "But he's quite good at taking free-kicks, and then he was unlucky because it was a great free-kick. "I think we have had a lot of games away that we were close to getting three points in the last games – Wolves was one of them, and (against) Bournemouth we did well, too. "But we were not lucky enough to have a clean sheet when we were doing well. So the team was very disciplined, very organised and working hard. We were very committed and in the end that made the difference against a good team with good players. "We were working in a way that we were playing the counter-attack where it was quite dangerous and quite effective." On Matt Ritchie's performance, Benitez added: "Matt's someone that shows his commitment all the time, and always has energy. I think with this system he's quite fine, quite comfortable in this position. "Obviously the cross (for Perez's goal) was very good, and I think he's a player who shows himself commitment and you cannot expect anything better than him."